Compact design allows for compaction in narrow spaces. High travel speeds and easy to maneuver. Large capacity water tank and the wide filler opening on the asphalt models leads to easy operator use and improved productivity. Specially designed exciter bearings reduce maintenance and improve productivity. 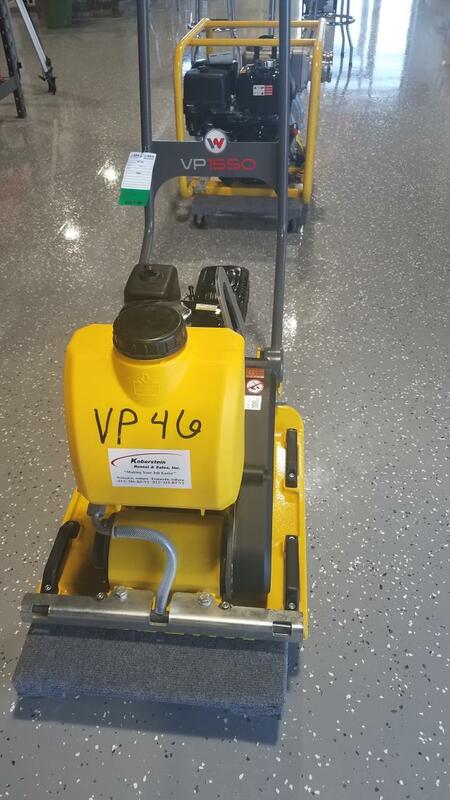 * Please call us with any questions about our vibratory plate compactor rentals serving Princeton, Vincennes, Evansville, Gibson County, and surrounding communities in Southwestern Indiana.